hieroglyphics that were created during ancient times. When Christianity first spread to Central America, the indigenous Central American culture, in particular the Aztec community substituted Psilocybe cyanescens for bread as part of the sacrament of communion. Because of the psychedelic properties that were experienced during ceremonies, which the participants believed aided to facilitate a relationship with God (believing that part of God was being consumed), the culture thought that God became exposed during the inevitable hallucinations that occurred. 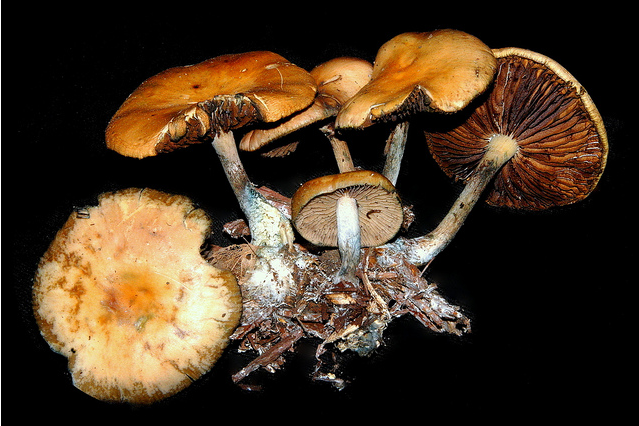 The counter-culture movement of the 1960's encouraged the use of psychedelic compounds, in particular P. cyanescens, as a replacement product for LSD, because of accessibility and low cultivation costs of the fruiting bodies. 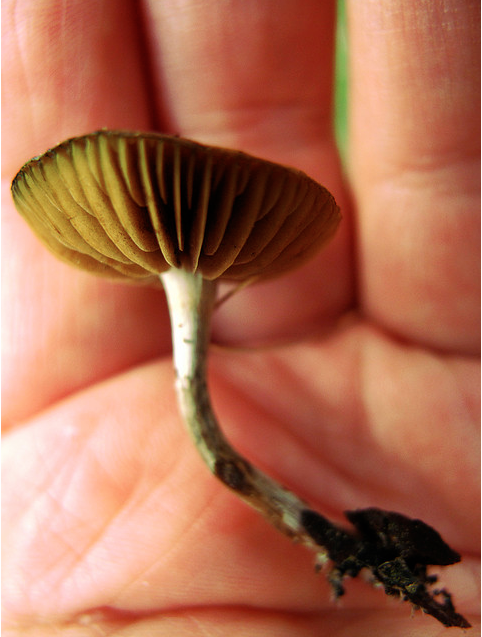 Medical research conducted in recent years has determined that low dosages of P. cyanescens can alleviate symptoms of depression by suppressing regions of the brain that become over-active during a phase of depression, with minimal to non-existent long term side effects in the subjects. Populations of reindeer actively seek out the Genus Psilocybe, and will actually hoard populations of the hallucinogenic mushrooms to use later, thus demonstrating the desire for the reindeer to experience the psychedelic properties contained in the genus. If you are interested in the Psilocybe cyanescens species, be sure to check out the fascinating interactions that occur between this fungus and its external environment. Also, if you would like to procure more information on the topic of the kingdom Fungi, or are interested in learning more about P. cyanescens check out my reference page, which is what I used to obtain the information that led to the creation of this website, along with the class Organismal Biology at the University of Wisconsin - La Crosse.